Master Hairstylist & Owner of Lakehouse Salon & Wellness, she has been in the hair styling industry since 2005. She loves all things creative, and likes nothing better than a challenge! Jessica specializes in updo's and formal hair styling with a focus on weddings. Taking a holistic approach, Jessica is passionate about helping her clients achieve their hair goals without compromising their health or the health of their hair. Erika is a master stylist born and raised Cape Breton. 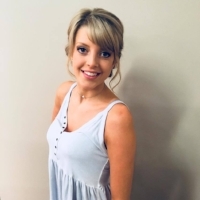 She has been a stylist now since 2011, Erika is passionate and well rounded in all areas of hair, and has a special passion for bridal/formal hair design. Erika loves to make people look and feel their absolute best, and can't wait to build her business here at Lakehouse. Rebecca started her career with us in 2014, and has been eagerly learning ever since. Rebecca specializes in color services and formal styling. She is a creative and well balanced stylist. Becca is a detail oriented 'perfectionist", and always goes the extra mile for her clients! She is passionate about all aspects of hair styling, and is continually learning and growing in her career! Graham is a seasoned Master Stylist. 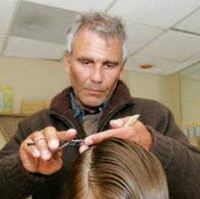 He loves his profession and working with his clients to create beautiful hair that is functional in day-to-day life. Graham has kept up to date with what is new in hair and beauty by taking continuous education classes over his many years in the industry. He has taken many classes locally and has also traveled throughout North America for extensive training. Graham is passionate about continually bettering himself, and providing his clients with quality and consistency at every visit. Kevan has been in the industry for 25 years. Hailing from England, Kevan brings a massive amount of education to the team, and his cutting bears a distinct Vidal Sassoon edge. He loves nothing better than to be asked to execute a perfect asymetrical bob! He is the owner and creator of BISH ALIVE. BISH ALIVE is an Organic Product Line made from Sea Kelp, hand picked in Nova Scotia. Kevan is very passionate not only about helping his clients look and feel their best. He is taking great strides to help Lake House go more Green. Melissa is a Master Stylist and has been in the hair industry for nearly 20 years. She is very passionate about all things hair but her true passion lies with color and loves creating an amazing transformation for her clients. Leaving her guests feeling not only relaxed and pampered but also feeling confident and beautiful. Stylist of 23 years, Julie strives for excellence in her craft. As a master stylist and Educator, Julie has joined our team at Lake House offering a wealth of knowledge. She also specializes in all Bio Natural beauty needs. She has been a green stylist for 5 years and enjoys educating her clients on how to achieve their needs naturally. Julie exudes passion for health and hair, and her clients leave an appointment with julie feeling pampered and uplifted.